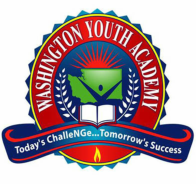 ​The Washington Youth Academy Foundation is a 501(c)(3) non-profit corporation registered in the State of Washington, EIN 26-27716 86 and was established to support the students and programs of the Washington Youth Academy. The Foundation was established in May 2008 and was active before the first Academy class in January 2009. Our mission is to help former High School Dropouts Succeed – Dream, Believe, Achieve. Our Foundation goals are simple. We exist to support the student cadets while they attend the residential portion of the Academy and provide summer school, Washington Business Week and post-graduate financial support for continuing education, vocational school, trade school or job training. Conducted at 35 academies across the country, the National Guard Youth ChalleNGe Program is operated in conjunction with the U.S. Department of Defense, National Guard Bureau, state governments and local sites. The program consists of a 5 1/2-month residential phase framed around eight core components: academic excellence, responsible citizenship, physical fitness, leadership/followership, job skills, service to the community, health and hygiene and life coping skills and, as importantly, a 12-month post residential phase that matches a mentor to each graduate. The Washington Youth Academy is part of the National Guard Youth ChalleNGe program and is a state-run residential and post-residential program for sixteen to eighteen year old boys and girls who have dropped out of high school or are at risk of dropping out. The Academy annually conducts two residential classes accepting one-hundred fifty student cadets per class. Each student cadet that enrolls has done so voluntarily and has to want to voluntarily remain in the program. It is not an easy road, but with dedication and perseverance the student can recover eight high school credits during the five and one-half month residential program. After returning to high school the students participate in one year of mentoring to stay on the right path. Helping more than 131,000 teens to date turn their lives around, ChalleNGe is recognized as among the most cost-effective, highly rated programs of its kind for youth who have dropped out of school. An independent, multi-year study of the program by MDRC shows that high school diploma/ GED attainment increased by 29%; college attendance increased by 86% and annual earnings increased by 20%. An independent cost-benefit analysis by the RAND Corporation shows a 166% return on investment in the program – every dollar spent yielded a return of $2.66 in benefits to society. Over 80% of those who complete the program graduate from high school and are either employed, enter higher education, have joined a service program like AmeriCorps or Peace Corps, or have joined the military. You can help make a difference in a young person's life - please donate today!